The Khampas are proud Tibetan horsemen who swear by their sabers and horses; nomads for centuries, they have never let themselves be subdued, even by Ghengis Khan. I met him in Kathmandu, Nepal, in 2004. In 1959, it is nine years since the Chinese army is present in Tibet. 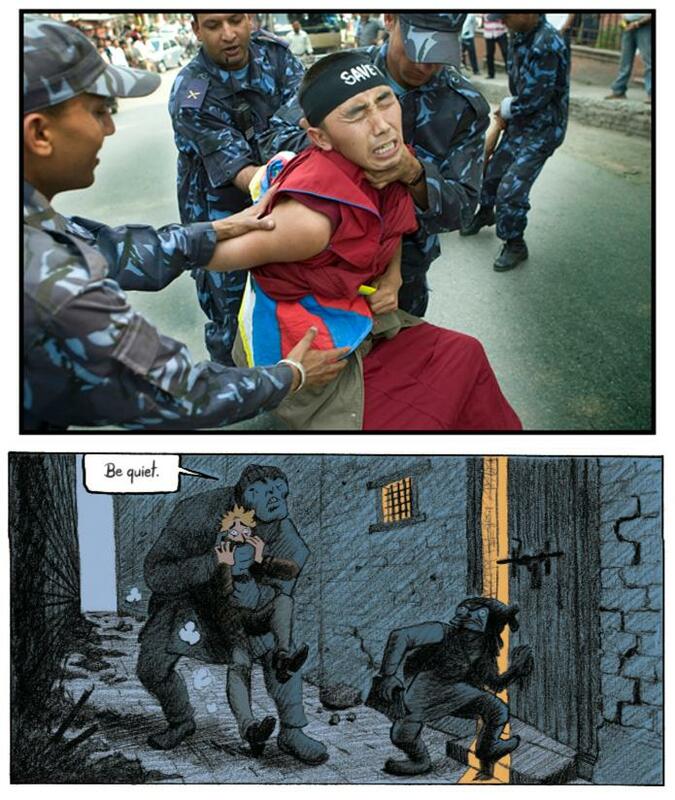 Ngodup, with 60 other Khampas, then takes part in the most secret mission of the CIA: on the night of March 14, the American agency organizes the exfiltration of the Dalai Lama, Tibetan spiritual leader who is then 22 years old, the same age as Ngodup. He tells me the story of his ride through the Himalayas and reveals the secret war of the highlands of Mustang that still divides the Tibetan community. From then on I make the promise to transmit his testimony. Four years later, I make a reportage on the revolutionary Tibetan youth who are demonstrating daily at the doors of the Consulate of the People’s Republic of China in Kathmandu, Nepal, against the holding of the Olympic Games in Beijing, China. I then meet November, code name that I give to a young Tibetan to protect her identity, and who stands out as the leader of the group that I cover for a week. In November, I recognize the character traits of Betty-La, a Tibetan mother-courage who will support the Khampas revolt until her death in 1966. She transmitted the news on All India Radio (Aakashvani, literally “The waves”). come from heaven “in Hindi) to all those” who have dedicated themselves body and soul to the future of Tibet “, according to the words of the explorer and ethnologist Michel Peissel. Betty-La and November will inspire the traits of Dolma, heroine of “The Stuff of the Lightning Men”. So, returning to my training as an ethnologist, I am keen to highlight the Khampa ethnic group and to explore further the complexity of the Tibetan people. 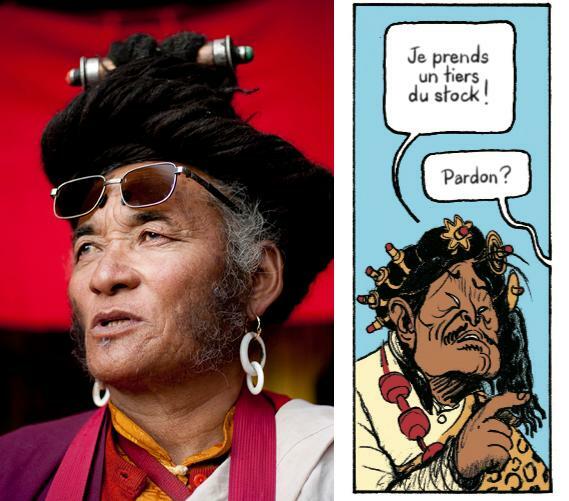 On my return from Nepal, the original idea of ​​a novel is transformed into a comic book project with the meeting of the cartoonist Loic Verdier. 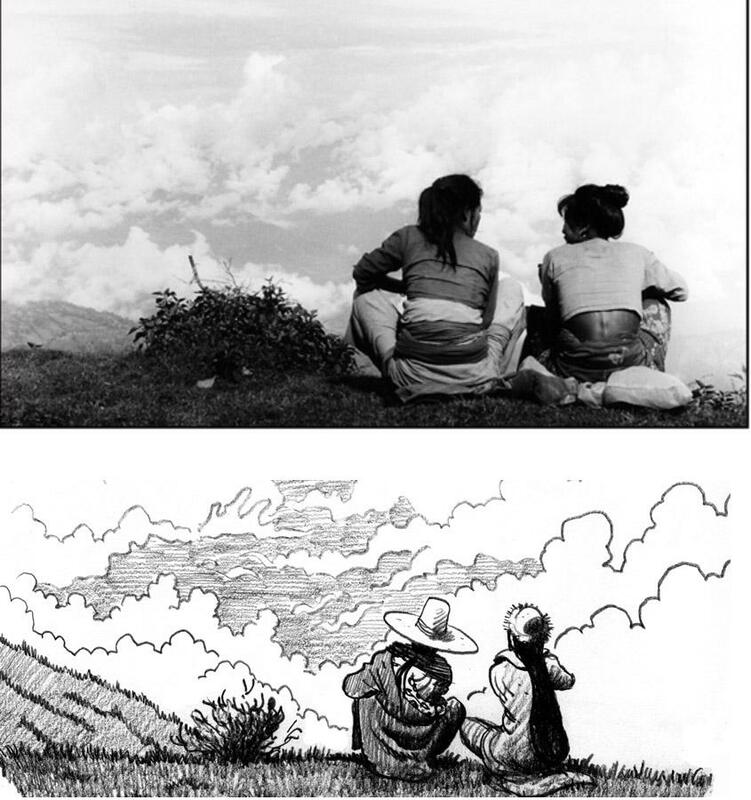 From then on, the graphic novel “The Stuff of the Lightning Men” inspired by real events, encamps the epic Khampas riders who lead a bitter struggle against the Chinese army in Tibet in 1959 and the figures discovered there are a mix of real people and fictional characters. 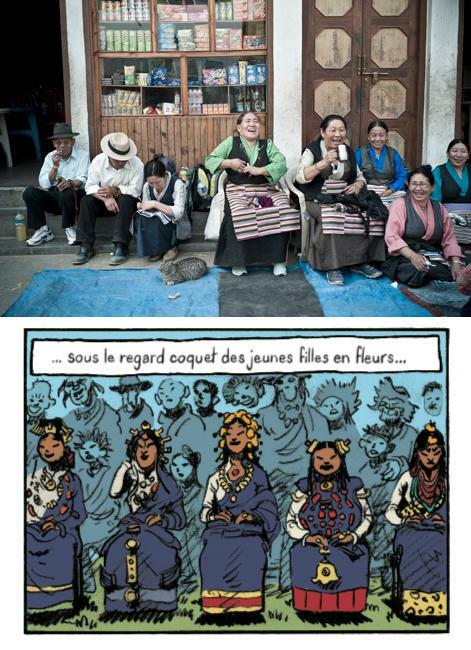 From photo to drawing, discover the adventures of these proud Khampas riders in the comic strip “The Farce of the Lightning Men” enriched with a graphic booklet of 14 pages on the genesis of history. Matthieu Alexandre, photojournalist (Associated Press, Agence France Presse), is the author and co-writer of the comic strip “La Farce des Hommes-Foudre” (Casterman, 2018) and the author of two short stories “« Fleur de Pâques » et « Les arbres de fées »” (Edilivre, 2017). After studying ethnology, he began his photography career with an internship at the Rapho agency and then quickly his first reportage was distributed by Sygma photos agency. 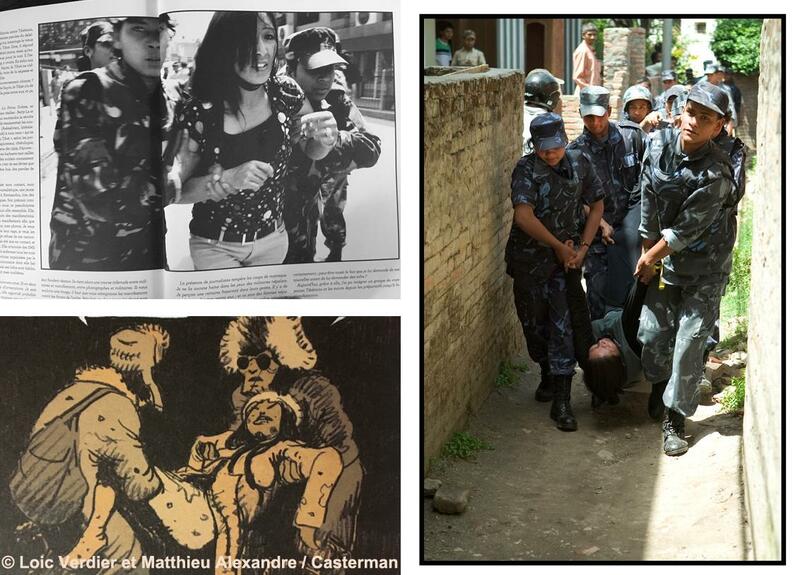 His work was also distributed by the VU agency before he started working as a freelance photographer for AFP and AP. His photographs were selected at the Scoop Festival in Angers in 1999, at Visa in 2004, at the Anthropographia Awards in 2010, presented to the Senate and the National Assembly in 2015 and 2016 and will be exhibited in the gardens of the Elysée for the exhibition “Regards sur l’Elysée” on the occasion of the European Heritage Days on September 15 and 16, 2018. La farce des hommes-foudres – Verdier, L., Alexandre, M., Brussels, Casterman, 2018, 152 pages.